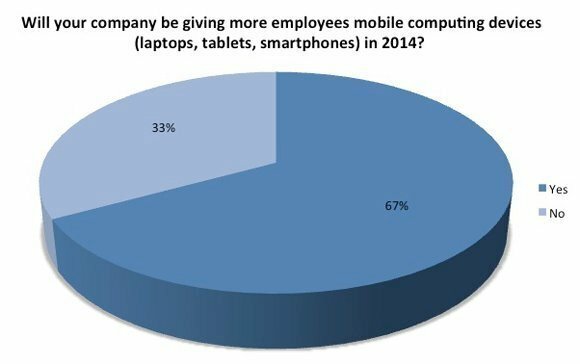 The 2014 TechTarget/Computer Weekly IT priorities survey of IT managers showed that 37% of IT leaders plan to implement a mobility strategy for their business this year. Of the 440 people asked, 43% said they would be implementing tablet devices in their organisations during 2014, while 41% said they would be implementing smartphones. This should come as no surprise, given the continued decline in PC sales. Gartner reported that PC shipments in Europe totalled 25.8 million units in the fourth quarter of 2013, a 6.7% decline from the same period in 2012.